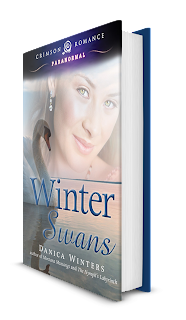 When his ex-wife’s killer learns about his daughter’s abilities and decides to come after the young girl, Chance enlists the help of the beautiful and deadly swan-shifting nymph, Harper Cygnini, who helps to teach him the truth of his daughter’s condition. Chance soon realizes that he alone can’t save his daughter from the sadistic killer and he finds himself in a battle between his head and his heart. Will Chance gamble on a future that involves falling in love—which may well cost him his life - or is that one bet his is unwilling to take? I really liked this book. The only thing I didn't like was the end. In this series, the books are almost stand-alone. The next book may mention the previous books, but it doesn't continue any of the story really, and this book ended with a slight cliffhanger. The story needs to be continued, but the next book, if it follows the series pattern, won't pick up where this one left off. So that struck me as a little odd. Other than that, I loved the characters and the strength of the relationships between them. Parts of this book made me laugh so hard, so while I am rating it a 4, it's a high 4. 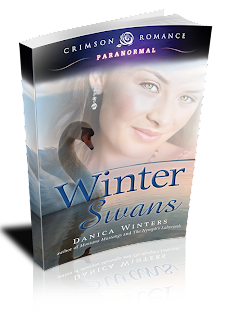 Danica Winters is a bestselling author who is known for writing award-winning books that grip readers with their ability to drive emotion through suspense and often a touch of magic. 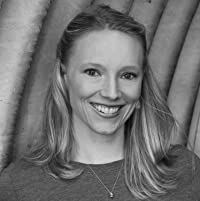 When she’s not working, she can be found in the wilds of Montana testing her patience while she tries to understand the allure of various crafts (quilting, pottery, and painting are not her thing). She always believes the cup is neither half full nor half empty, but it better be filled with wine.